Artist: Christina Schlesinger. 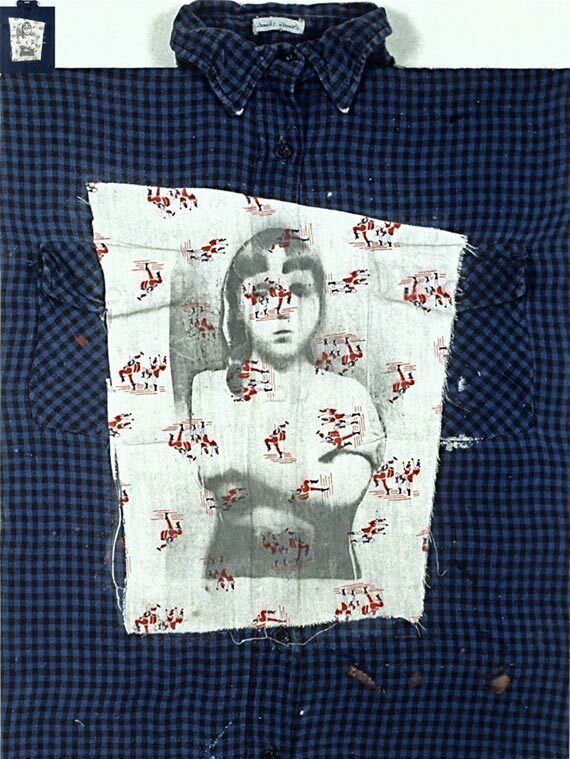 Image: Detail of “Tomboy on blue flannel shirt”, Oil on canvas, 20″ x 16″, 1994. Christina Schlesinger started at Cal Arts in the Feminist Studio Workshop and left to paint murals for the City of Los Angeles with street gangs. Feminism and activism have guided me ever since. She co-founded the public art organization, SPARC, in Venice California, and have received public art commissions in California, New York and New Hampshire. She has exhibited paintings in galleries in Los Angeles, New York, Provincetown and East Hampton and received grants from the Pollock-Krasner and Gottleib Foundations.